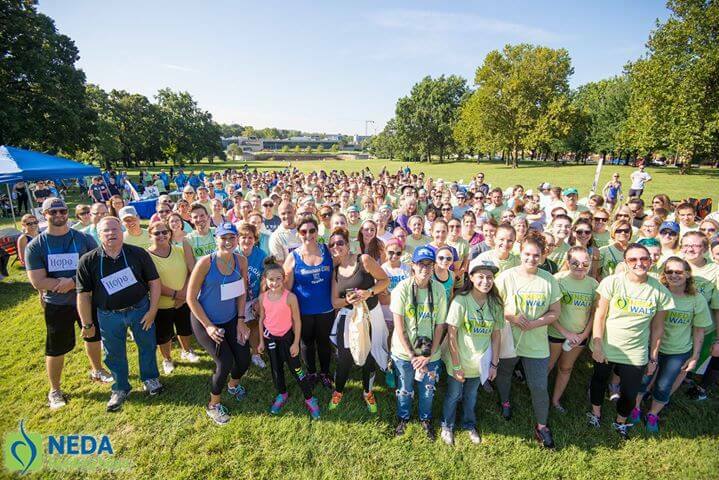 The Eating Disorder Treatment Team at Renew Counseling Center invites you to join us for the National Eating Disorders Association Annual Kansas City Walk, hosted in partnership with the Missouri Eating Disorders Association. Opening Ceremony and Walk at 9 am. Renew’s Eating Disorder Professionals will be present for conversation, iced coffees, and a short walk together in the beautiful Theis Park. It has been our pleasure to walk alongside many individuals and their loved ones in recovery journeys, and we look forward to sharing time with you! Who should attend? Anyone who has had or is presently struggling with eating, exercise, and/or and body image concerns, anyone who is seeking greater understanding of these concerns, and anyone who has a friend or loved one with these concerns. What will you learn? Attendees will learn from eating disorder recovery advocates, participate in art projects and body-positive experiences, have snacks, and walk together in mutual support, with opportunities to talk with many in the local community of eating disorder professionals. Type: Renew Counseling Center in the Team Name search bar. Follow directions to complete your individual registration. Funds generated through this walk are used for Eating Disorder Awareness and Education, Public Health Initiatives, Advocacy, and Research in support of more than 30 million Americans who struggle with Eating Disorders. Visit the NEDA website at NationalEatingDisorder.org for more information. Jami does individual counseling and specializes with shame resiliency and emotional/disordered eating. Delivering individualized nutrition plans in a motivating, creative, and integrative approach.